Whether you’re young and spry already and just want to keep it that way, or the years of working hard are can be felt in your ankles, knees, hips, and lower back, the supportive and industry-leading lightweight design of these Reebok Men’s SubLite Cushion Alloy ... (see full details) (see specifications) #RB4042. Whether you’re young and spry already and just want to keep it that way, or the years of working hard are can be felt in your ankles, knees, hips, and lower back, the supportive and industry-leading lightweight design of these Reebok Men’s SubLite Cushion Alloy Toe EH RB4042 Grey Lightweight Athletic Oxford Shoes might be exactly what you need to maintain your stamina and safety during your work day. Lightweight is the name of the game when it came to designing these low cut athletic safety shoes, earning them the title as an industry leader for lightweight comfort. So light, you’ll forget these are work shoes, and you may just decide to wear them out and about when you’re on your days off, too. Go right ahead - with the breathable mesh decorative uppers and cool athletic style, no one will ever know this is work footwear. Lightweight is great, but safety is important, too. In order to keep your feet protected from industrial accidents, Reebok included the light and protective alloy toes caps. Meeting or exceeding the same ASTM F2413 standards as traditional steel toes, these alloy toes protect in the same manner but modern technology has created a stronger toe cap with a lighter weight than steel. Dual resistors and no exposed metal on the uppers of these shoes also meets or exceeds the ASTM F2413 standards for electrical hazard protection required in certain work environments. Inside and underfoot, you'll have even more comfort to enjoy during your work day. These incredibly lightweight Sublite shoes have removable MemoryTech Massage insoles for customized comfort with every step you take. This breathable foam not only refreshes the comfort with each movement of your feet, but it also enhances air flow under them for all-around breathability. Removable for those who have move specific orthotic needs, be sure to check out our wide selection of insoles for all orthotic needs before you go. The Sublite EVA foam midsoles are the main structure of these athletic grey shoes, and that's the reason Reebok can proudly claim some of the lightest and most flexible athletic shoes in the industry. The EVA foam acts as a suspension system to reduce the shock of impact on your feet, reducing stress and enhancing stamina, while the full-foot flex grooves improve mobility while you walk, crouch, bend and more. The outsoles consist of rubber pads on the forefoot and heels of these athletic safety toe shoes, providing slip-resistant traction exactly where you need it for the best protection and take off grip without weighing you down. So for the lightest shoes in the industry, these Men’s SubLite Cushion Alloy Toe EH RB4042 Grey Lightweight Athletic Oxford Shoes from Working Person's Store weigh in at only 350 grams per shoe. For athletic performance and industrial protection, you will love these low cut athletic oxfords. 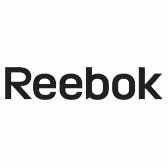 Order your pair of Reebok safety toe athletic shoes today! I would like you to know that your service is fantastic!!! From your notification about order processing/status, to the incredibly FAST shipping!!! I wish there were more companies that did business and cared about their customers as much as you do. Great price, Great service, and Great shipping!!! I will highly recommend you to anyone that is in need of the products you offer!!! Reebok Shoes: Men's EH RB4042 Grey Sublite Cushion Alloy Toe Athletic Shoes is being added to your cart.